Recently 40 Otago Polytechnic students from the Scarfie Army did something different during their first week back in Dunedin. As well as the usual toga parties and raves, these energetic scarfies spent two days volunteering during Orientation Week. 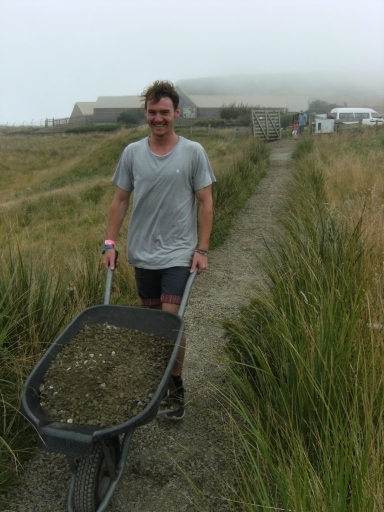 The volunteers worked with local rangers Lucy Hardy and Guy Brannigan on maintaining the penguin viewing area at Pilots Beach at the end of Otago Peninsula, which is home to over 100 little blue penguins. This area is managed by the Pukekura Trust which runs viewing tours at night. It is also close to the northern royal albatross colony at Taiaroa Head. It was a sweltering day and after wheel-barrowing gravel for the footpath down to penguin viewing area, picking up trash from the beach, and weeding around natives planted by local school children, the scarfies couldn’t resist and jumped into the sea to cool off. The volunteer army also helped with some maintenance work at the fort on Taiaroa Head for the Otago Peninsula Trust, such as cleaning rust off the disappearing gun. 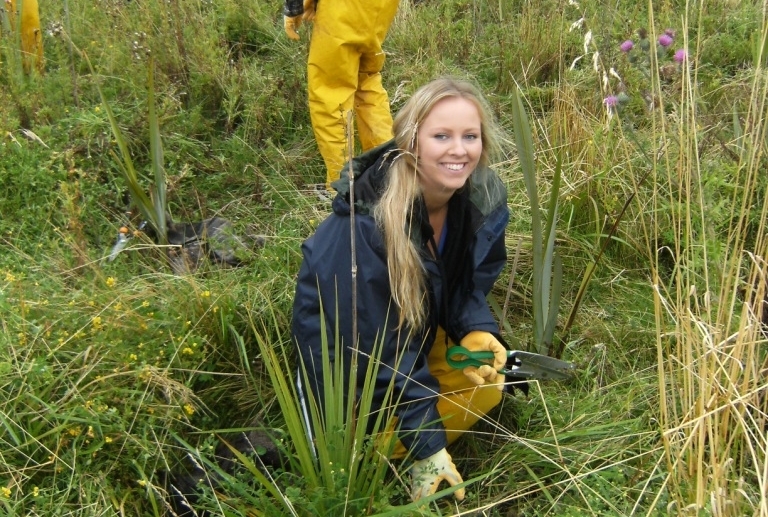 Other hands on work included weeding around hundreds of native plants at the Living Legends planting site at Waitati. The students’ work will help survival of the 10,000 natives planted by the community to create a native wetland at the Orokonui Estuary. They also potted dune restoration plants for the Tomahawk Smaills Beachcare Group at their plant nursery. It is fantastic to have the Scarfie Army volunteer with DOC to help out on some important conservation projects in their local area. Inspired to help? Our volunteer programme lists opportunities for conservation projects with the Department of Conservation. Becoming a DOC volunteer involves being supervised by, and/or working with, DOC staff. A fantastic example to others. Well done, everyone. Thank you Scarfie Army for your help and support of local conservation projects! 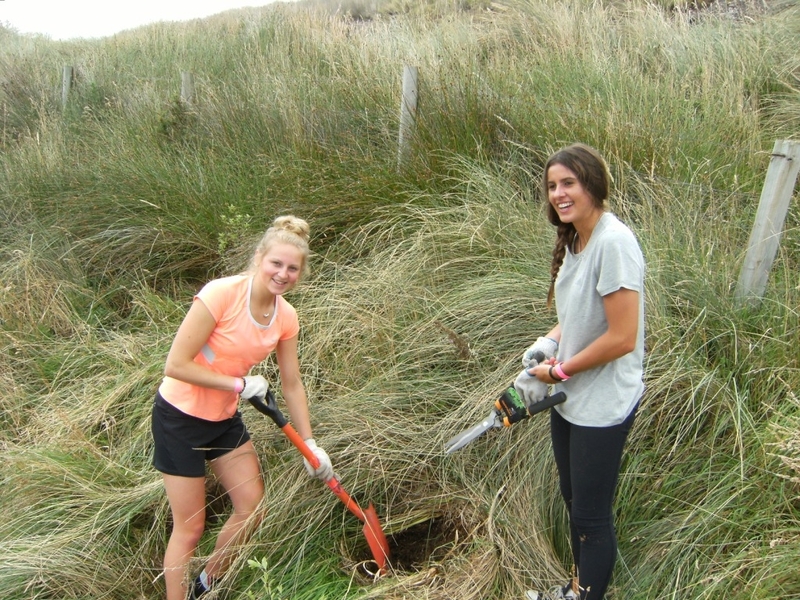 The Conservation Volunteers Coastal Otago facebook page lists heaps more conservation projects that anyone can get involved with. Check it out if you’re keen to get involved.